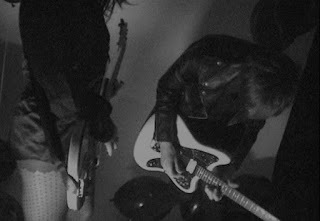 Your resource for all things shoegaze and dream pop: Interview + New Video: Schonwald || Venice. Interview + New Video: Schonwald || Venice. 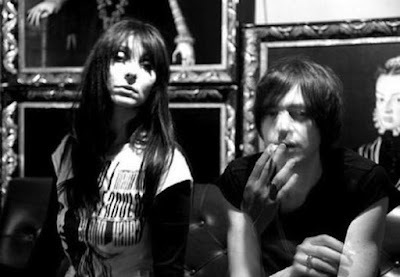 ALESSANDRA (“Ale”) Gismondi and Luca Bandini of Schonwald do not create typical or traditional shoegaze. Instead, their music lurks in the unnerving, spectral corners of the genre. Atmospheric and compelling, the two-piece mesmerize with a minimalist approach that would not be out of place in a horror film. Through icy synth lines, throbbing beats and twisted guitar work, the band offers a moody look into the darker side of shoegaze. A third full-length, Between Parallel Lights, was released in November and is perhaps their strongest work yet—a dark jewel crowning an already impressive body of work comprised of their 2009 debut LP Amplified Nature and sophomore LP Dream For The Fall (2014). Already colossal fans, When The Sun Hits is beyond enthused to present the new video for the song “Venice”—a track that Luca says “represents the sound of Schonwald utterly”—and the interview that follows. Our thanks extend to Ale and Luca for this opportunity and for taking the time to answer our questions. Luca: We started to play as Schonwald in 2008. We are a duo. Alessandra sings and plays bass, guitar, and keyboards. I play guitar and synth, and program drum machines. We live in Ravenna, a small town near the Adriatic Sea which is characterized by fog, marshes and swamps. These places, especially in winter, are very suggestive and rich in gloomy atmospheres. So it's very easy to get inspiration for creating our music. Ale: We love bands like The Cure, New Order, The Jesus and Mary Chain, DNA, Suicide; our music is truly inspired by the eighties sound! We grew up listening to the New York no wave scene and British post punk bands mainly. Luca: Our creative process starts with composing some patterns on drum machine. Then we add synth lines followed by guitar, bass guitar and last but not least the voice. 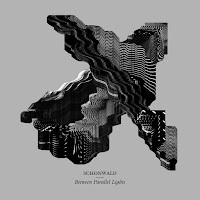 In the five-year span between Amplified Nature and Dream for the Fall, Schonwald released only singles. The tracks on Amplified Nature tend to point in different musical and sonic directions, while Dream for the Fall presents a fully developed Schonwald sound. Can you tell us about the time period in between? Ale: During that period we were very busy touring and recording with two side projects, Pitch and Vessel. This didn’t allow us to release other albums in the meanwhile, because it would have been counterproductive and impossible to plan promo tours. From 2009 to 2012 we published the fourth Pitch album and two EPs with Vessel, while Schonwald was present on various international compilations and released the Mercurial 7-inch in 2013 via HoZac Records. Both of us had played with Pitch for ten years; then we decided to concentrate ourselves exclusively on Schonwald, which is actually the main project. From the debut album Amplified Nature to the second album Dream for the Fall we didn’t change our process of recording the songs but basically we changed our sound. We worked a lot with different pedal effects and after some months we found our way so finally we stopped to buy gear (ahahah). What gear is important for your sound? What guitar pedals do you prefer? Luca: For us the gear is very important, it builds our sound and is essential. I play with a Fender Classic Player Jaguar HH and a mix of vintage and modern pedals like: proco RAT, Ibanez OD850 from '75, early nineties Boss CE3, Moog Minifooger delay, and Boss RV5 into a mid eighties Roland Jazz Chorus 50. What about recording? What is your process and what gear and software do you use? Ale: We usually test new songs with a lot of home demos with Pro Tools. Then we usually go to record in the studio. We recorded our last two albums at Duna Studio where there are plenty of tape echo machines, vintage amps and Moog synthesizers—a sort of paradise for musicians! We had such a great time recording there and the most important thing is that we are satisfied with the final result of each album. Luca: For sure one of our recent songs, called "Venice," because it represents the sound of Schonwald utterly. We think it's a step forward in composition and melody as well. Ale: Through all these years we have been playing our music without considering ourselves part of a specific scene or genre, focusing on what we liked. We feel really free in doing it and we enjoy it a lot! Although we understand perfectly there is a need to identify bands, so it places us closer to your above mentioned music styles. Luca: Obviously we love them, especially DIIV, A Place to Bury Strangers, Moon Duo, The Soft Moon, and Tamaryn. In fact we've seen them many times when they’ve come to Italy. Ale: We like the DIY attitude. We like Bandcamp because it is perfect for promoting and selling music and merchandise for bands without a record label, and it's simple to manage, so this is great. Luca: We are very open minded. It depends on the situation: at home we prefer vinyl, on tour we drive for several hours so CD is the easier way to travel in good company. We usually listen to MP3s when we work out. Schonwald has a distinctive visual presence through album art and band photographs. Can you tell us a little about what art you are currently into? Luca: We love art. Regarding visual artists in our top list there are Bruce Nauman and Marina Abramovic. About painting, we like Impressionism and Abstract Expressionism a lot. We like also the portraits of photographer Kevin Cummins. What has the band has been working on recently, and what have you got coming up in the near future? Ale: We have just come back home from the first half of the European tour of Between Parallel Lights. At the moment we are having a break so that we can arrange our wedding afterward. We'll go ahead with the second half of the tour in Belgium, Holland, Germany, France, Greece and last but not the least Italy. Can you tell us about the Shad Shadows side project? Luca: When I was young I spent a lot of time in the record shop of my father listening to old school electronic music and playing some records. Shad Shadows is my brand new electronic project, without guitar and bass. Here I'm oriented towards the search for sounds recalling movie scores and the late eighties and nineties industrial dance scene. Ale: We have a different style from popular culture here in Italy. We are aware of the importance of history but we want to look forward. Our vision and aspiration is beyond national boundaries. New Video: Lost Children || Teen Beat. 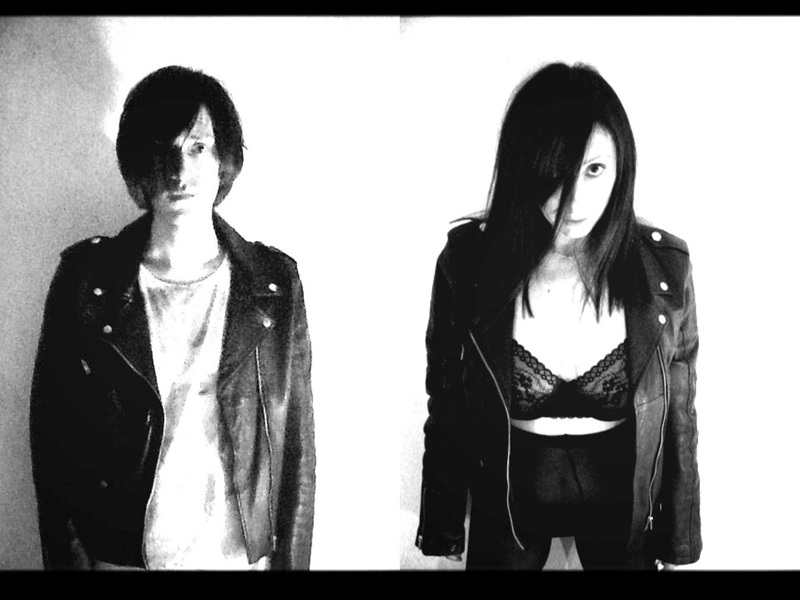 Bandcamp Track of the Day: Ghost Lake || Jewel. Bandcamp Track of the Day: FOREVR || Contest. Bandcamp Track of the Day: High June || Far. New Track: DIIV || Under The Sun. New Video: Purity Ring || Heartsigh. 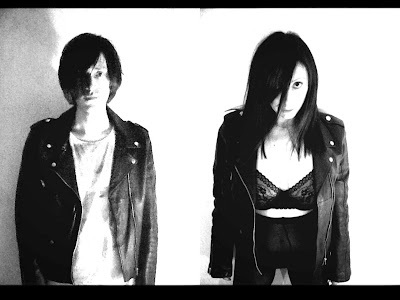 Bandcamp Track of the Day: Gleemer || Gauze. Holiday Gift from Venera 4: Masked Dance. Single + Video: Fire Behaving As Air || Ripples. WTSH Favorite Albums of 2015.